Ever wondered which profile solution fits the best with your SBC/ VDI environment? 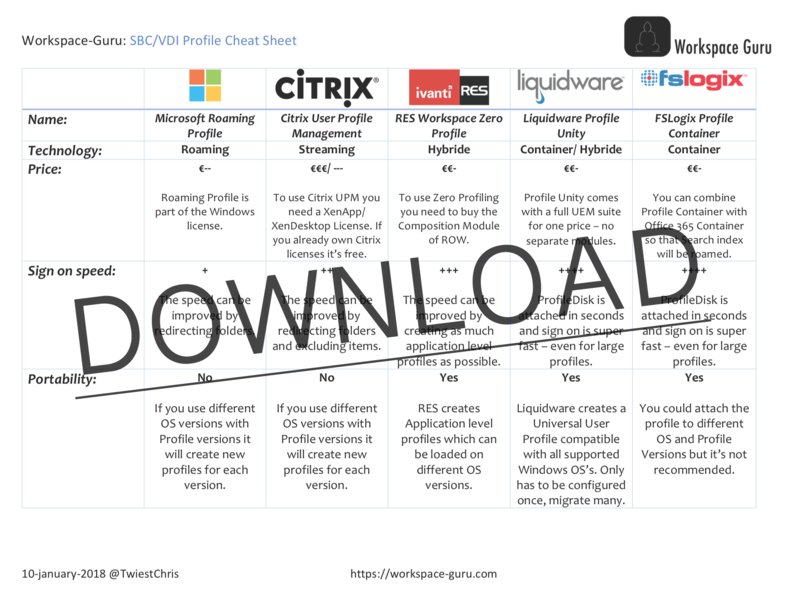 With this SBC/ VDI Profile Cheat Sheet you can easily compare the different types and vendors of profile solution. So you can figure out for yourself which one will best fit your, and the end users, needs.